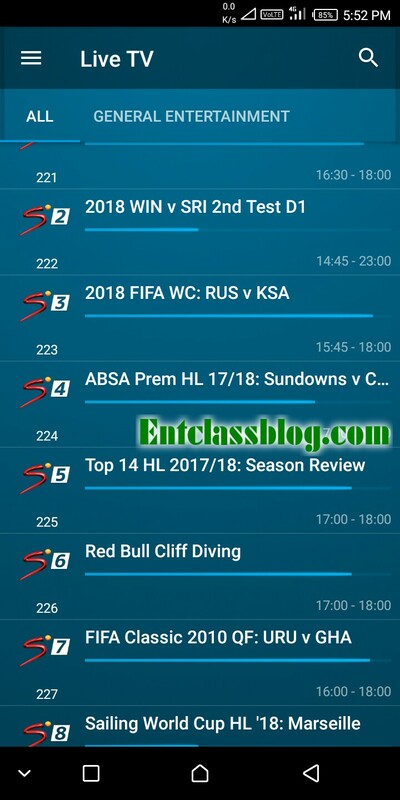 DSTV Now app has been updated to allow you watch all live matches, stream live TV programs, TV shows, news, documentaries etc. The app is free and allows you to stream live TV for free in full HD. The app is available for Android and iOS. In this post, you will learn how to download DStv Now app and as well know how to set it up even without having a DStv decoder or DStv smart card. 1. 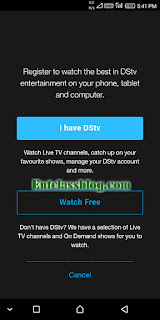 First of all, download DStv Now APK here or for iOS here. 2. After installing the app, open it. 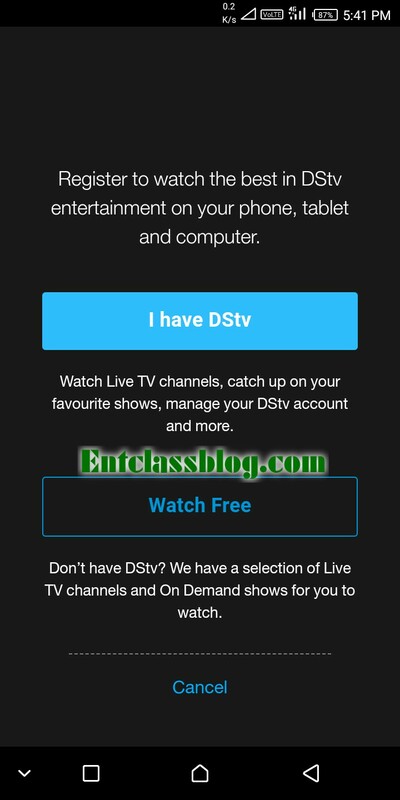 Then tap on "don’t have DSTV login details? Register.’ Click register. 3. Now, tap on Watch Free. 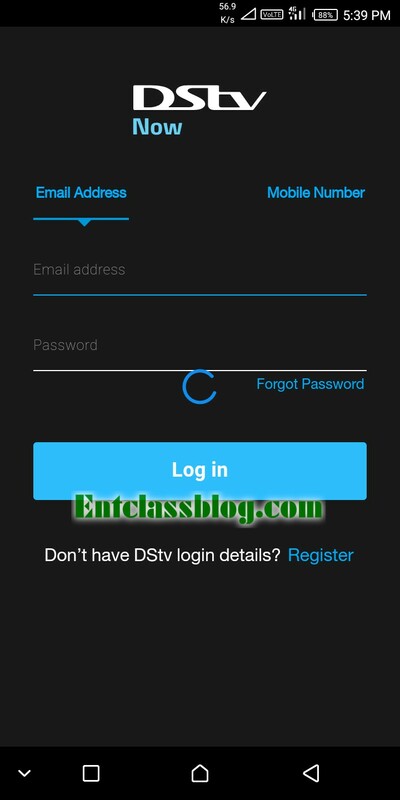 But if you have a DStv decoder, click on I have DStv, and fill in your details on the next screen. 4. Then you will be required to enter your details such as your name, email address, and phone number. Then click ‘Register’ you’ll receive a congratulations message like the one below. 5. You're done. Just tap on Live TV section and select from the list of channels and start watching. When streaming in HD, it involves lots of data and strong network. To reduce the cost of data consumption, you can go to the app settings and reduce the video quality. 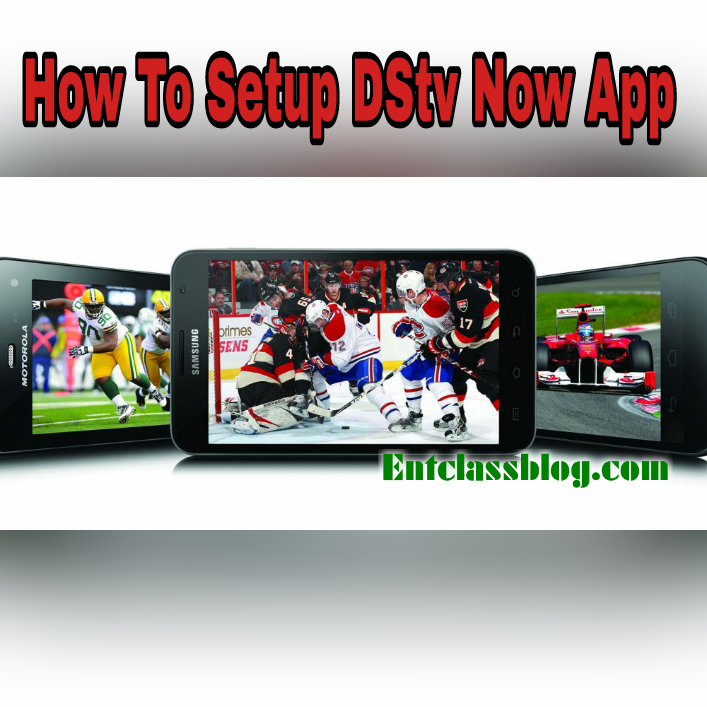 DStv Now also support screen casting. You can cast the screen on your mobile phone to a bigger screen like your laptop or TV using WiFi. That's all. Kindly leave a comment below and share this post. wow, this is good coming at this moment from the stable of DStv Nigeria. It might be an error from the app. Nice bit I fit watch live programs??? I commend them for that, but I doubt if it will contain the more important channels as on their biggest bouquet. Kachi, the blog is currently having errors when sharing an post to Facebook. "Can't load URL: The domain of this URL isn't included in the app's domains. To be able to load this URL, add all domains and sub-domains of your app to the App Domains field in your app settings. 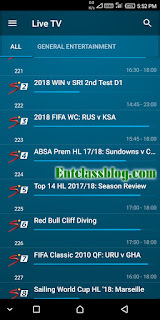 the Nokia N96 method of watching dstv without mobile data is much better. Victor, if there's a way to reproduce that on android pls let us know! Things has so much changed since then. I just shared this post and it worked. I didn't get any error. Yes Kachi, if I click on the share button on this page or any other page it gives that error. It wasn't like that before, maybe you changed something recently. Try sharing it with another phone and a different Facebook account. I just tried it again and its still the same error.